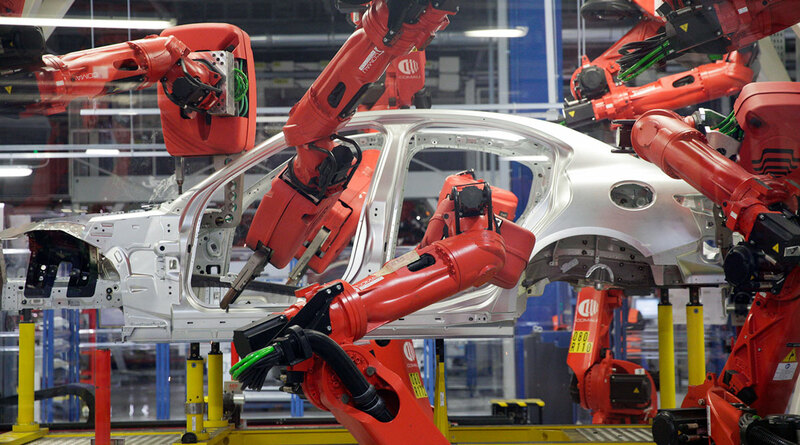 Fiat Chrysler Automobiles NV is considering options for its robotics arm, Comau, including a potential sale at a value of 1.5 billion euros to 2 billion euros ($1.7 billion to $2.3 billion), sources familiar with the matter said. The shares rose the most since July. The strategic review of the unit is at an early stage and no final decisions have been made, the sources said, asking not to be identified because the deliberations are private. A sale process could start early next year, the sources said. The business, which makes automated manufacturing systems and industrial robots, could attract bidders from China, another person said. A sale early next year could be the second major deal under new CEO Mike Manley, who took over just days before the death of his predecessor, Sergio Marchionne, in July. The company in August agreed to sell its car-parts unit Magneti Marelli for 6.2 billion euros. A Fiat spokesman declined to comment. Fiat shares rose 5% to close at 14.80 euros in Milan on Nov. 26, the biggest gain since July 5. Sales of parts operations and other noncore businesses will allow Fiat to focus its resources on building and selling cars at a time when trade tensions, falling car sales in China and clean-air regulations are putting pressure on automakers and their suppliers. Daimler AG issued its second consecutive profit warning in October, and automotive supplier Continental AG said this month that any acceleration in global vehicle production declines would put its revenue forecast at risk. Volvo Cars in September delayed plans for a share sale, saying the timing is “ not optimal,” and Aston Martin shares have slumped about 25% since its initial public offering.